I’ve only been out to Game Shoppe a handful of times, the most recent was back when Storm of Chaos campaign had been going on. With the store being in Bellevue, and both Dragon’s Lairs closer options, I had little time to get out their store. That’s a shame, because they offer Fantasy and 40k tournaments very frequently, and the store is run by a great guy, Norm. The store itself is nearby a couple of exits off the Kennedy Freeway (Highway 75), so it is easy to get to the shopping center it is in. It is in the corner of that shopping area, and if you’re coming from the north it can be a little hard to see. There isn’t a sign right on the street that I saw, so unless you’re looking and see the store front itself while you’re driving you’ll miss it. So, about even with Dragon’s Lair 2. 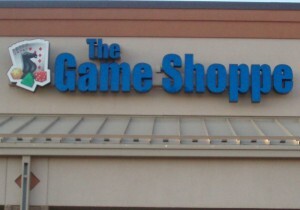 The store has an L shape to it, with the back part a dedicated gaming area. In the picture above, you can see there were three rows of tables set up just for Warhammer, while there were other tables with magic, war machine, and flames of war going on. A big calendar on the wall has all the different events and game groups for everyone to see. Whereas Dragon’s Lair was clearly comics first and gaming second (in a lot of ways, but in this category I’m mostly concerned with store layout), this place is clearly about gaming and nothing else. Unlike my home store, there’s no need to step up on top of comic bins or things like that. There’s more than enough open space to move around and feel comfortable. From what I could tell it was all new product, so that is one downside that you can’t find older blisters or sold-back items from other customers. However, they did have literally every GW product imaginable, so that was a strength. I would have liked some labels on their shelves, however. The boxes were all grouped by army, but there’s a lot of merchandise to swim through to find what you’re looking for. But that’s mostly nitpicky at this point – the reality is that Game Shoppe feels more open, yet at the same time seems to offer more inventory than the other stores I’ve been in. Oh, and if play more than Warhammer they’ve got plenty of Warmachine Hordes, Flames of War, et cetera. The staff at Game Shoppe are great just like the Dragon’s Lair guys. But here is the key difference again: the Dragon’s Lair guys are mostly comic book guys. These are gamers, and they know and love this hobby. 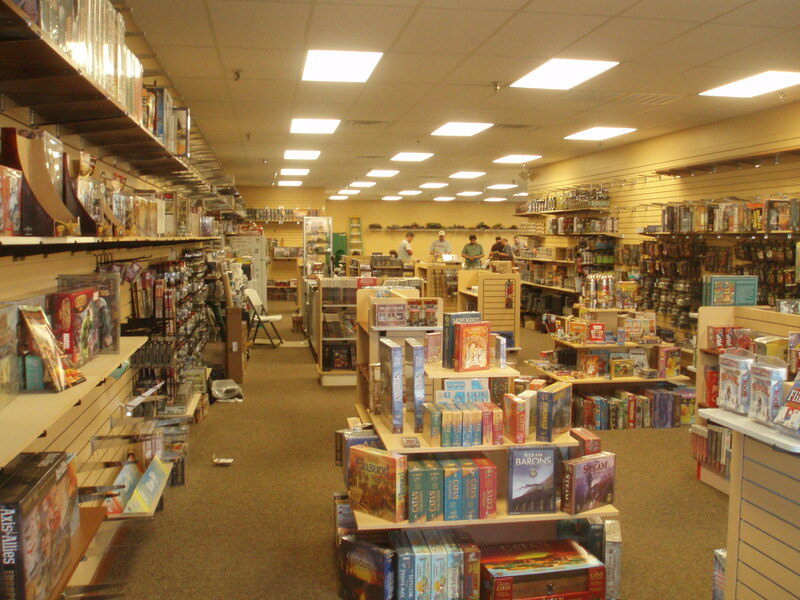 This is the area where it is no contest to Dragon’s Lair – both groups are amazingly helpful and friendly, but in terms of game system knowledge Game Shoppe wins hands down over Dragon’s Lair. Game Shoppe has the requisite leagues, campaigns, and various gaming nights – but what set’s them apart from the two Dragon’s Lair stores is the frequency with which they have tournaments for people to play in. With the exception of December, they host either a fantasy or 40k tournament once a month. They are quick, one day affairs but it still nice to have that kind of local offering with such frequency. 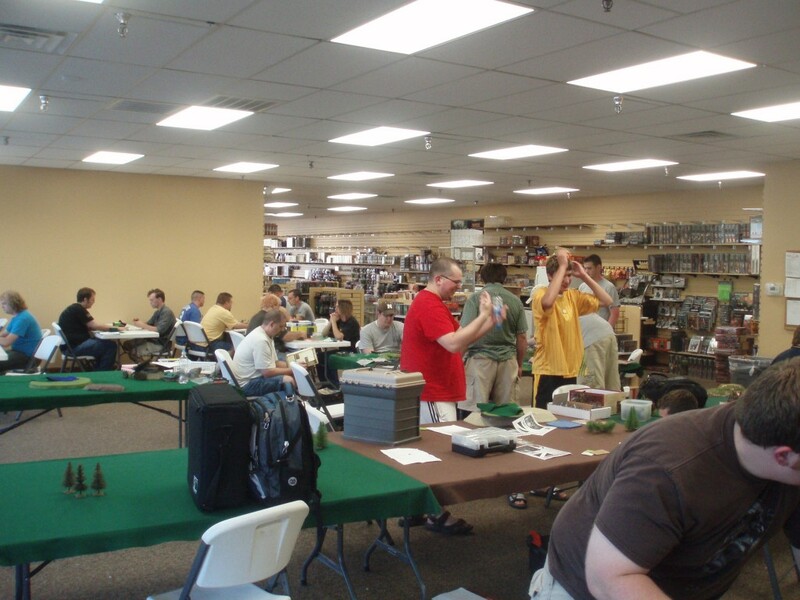 It is also the site of ‘Ard Boyz preliminaries (obviously, that’s why I was there), and the regionals, and GW’s confidence in Norm and the Game Shoppe to run regionals only further represents what a great place to game the store is. If you’re interested in playing down at Game Shoppe because you live in the area, head on down. Or – if you’re interested in their tournaments, you can visit their tournament forum here. Otherwise, their main site has contact info and directions. As I thought might be the case with my last entry, Game Shoppe was much stronger in the scores than Dragon’s Lair 2. DL 2 will always be my home gaming store, but I’d be foolish to say that the Game Shoppe isn’t a better place to go for people with no prior attachments to stores. It has more space, slightly more GW selection, and a more active gaming schedule, complete with frequent RTTs. Posted in Omaha and tagged game shoppe, games workshop, gaming, Omaha, Warhammer, warhammer 40k.